How walnuts can help you keep your new year’s resolution. A 2016 study found that enjoyment was the most significant factor in whether we stick to our resolutions. It seems, if we get immediate rewards from new habits, we are more likely to stick to them. When it comes to exercising, we get a reward via the release of endorphins, but this tends to be short-lived due to the aches, pains and fatigue that follow. Exercise is a stressor which increases the production of damage-causing free radicals. But, by adding antioxidants, either from food sources or supplements, the negative effects can be reduced. A recent study showed that consuming walnuts is a great way to reduce oxidative stress from workouts. This means by adding walnuts to your diet you can push through the recovery phase quicker, repair lean muscle faster, allowing you to repeat your exercise sooner, and stick with your goals longer. Here are 5 simple tips on how to sneak more walnuts into your diet, suggested by award-winning writer and nutrition consultant Elizabeth M Ward MS, RD. Start with breakfast. Instead of cereal, mix a handful of crushed walnuts and honey with plain low-fat yogurt. Include them into side dishes. 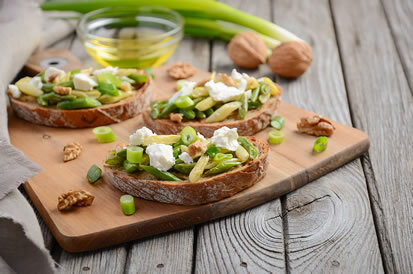 Sprinkle chopped walnuts on cereal, low-fat ice cream, sauteed vegetables, and salads. Or stir them into cooked rice, whole-grain couscous, or chicken salad. Looking for more inspiration? Check out more delicious recipe ideas visit our website.